Why don't we have a thread to talk shop about the world of art or just art in general? Whether it's the latest big thing or something happening right in your backyard, feel free to discuss anything relating to the art world here, including whatever ideas or projects you're working on. I'm looking forward to learning a lot. Neat idea, Griff! I'm afraid that I don't have much to offer in the way of "fine art," but I work as a graphic artist and have lots of interest in that area, so I end up finding a lot of neat websites that relate to that. One of my favorites is a portfolio site called Behance, where you can find some wacky stuff, like skeleton fonts or a gold-plated bust of Homer Simpson. IT'S ART, DAMMIT! FontSquirrel - provides only license-free fonts, which I found saves me a lot of time when dealing with commercial stuff. Pixeden - lots of terrific mockup tools, like iPads and iPhones. They also have some snappy text effects! ColourLovers - I'm sure that people know all about this one already, but I like to look at it when I need inspiration for a layout. They also connect to Martha Stewart's line of paints, which can be handy if you're doing some redecorating. On top of all that, they have some lovely premade patterns. That's all that I can think of off the top of my head... I'll probably post some more stuff later. I'm looking forward to seeing what other folks post! Sam Brown is probably the most quirky, interesting artist going (and he's been ripped off by countless people including a chell phone company, no less). He's been running http://www.explodingdog.com/ for a good ten years now, it's a collaborative project where you email him titles and he draws a picture. 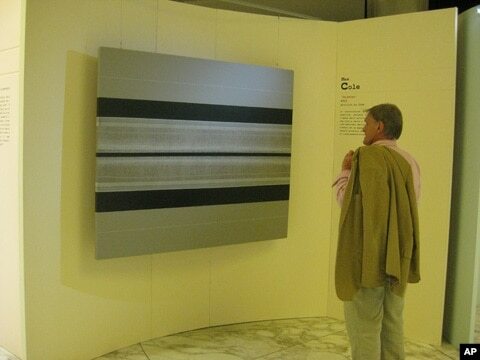 He also has done some sculptures based on titles, as well. Red Robots Forever! I check this website from time to time . 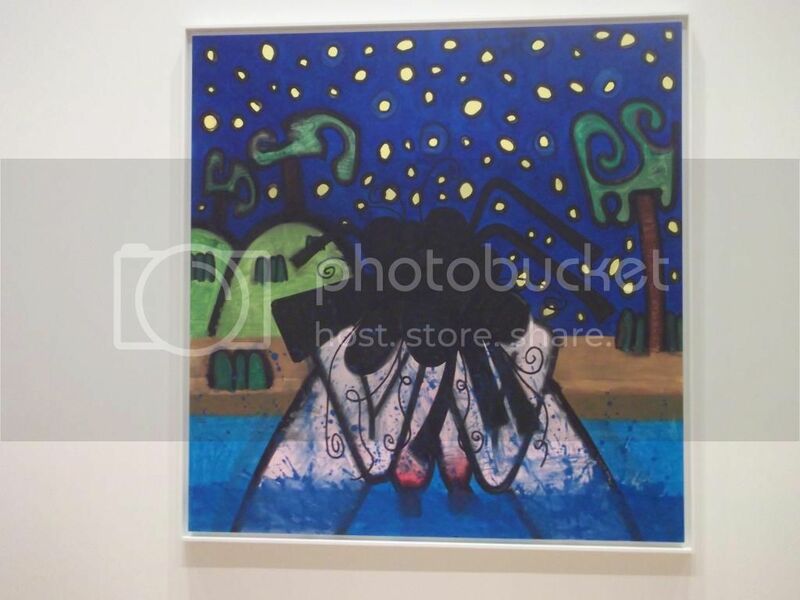 You can buy the original artwork ,or prints and even postcards of the painting. I went to the Art Institute of Chicago yesterday and managed to get some pretty decent pictures (and exercise). 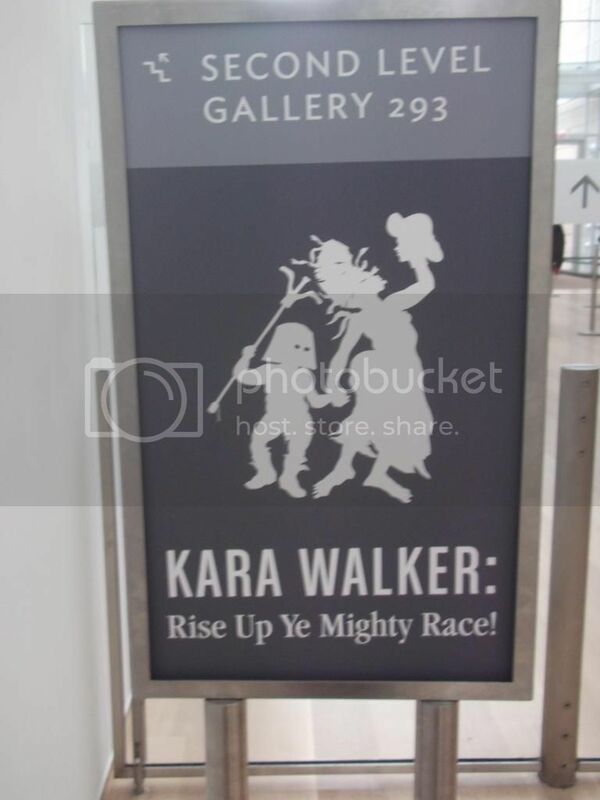 I was surprised to see that they had an artist that I have recently become interested in, Kara Walker, on display. Unfortunately it was the only area that was not to be photographed (per her instruction), so I took a picture sadly of a poster, lol. I actually got told by a guard not to photograph, and tried to return. There was a woman the second time, but she caught me too. oh well.. I am really more interested in her silhouettes anyway and the exhibit had very few of those (and wall space in general). 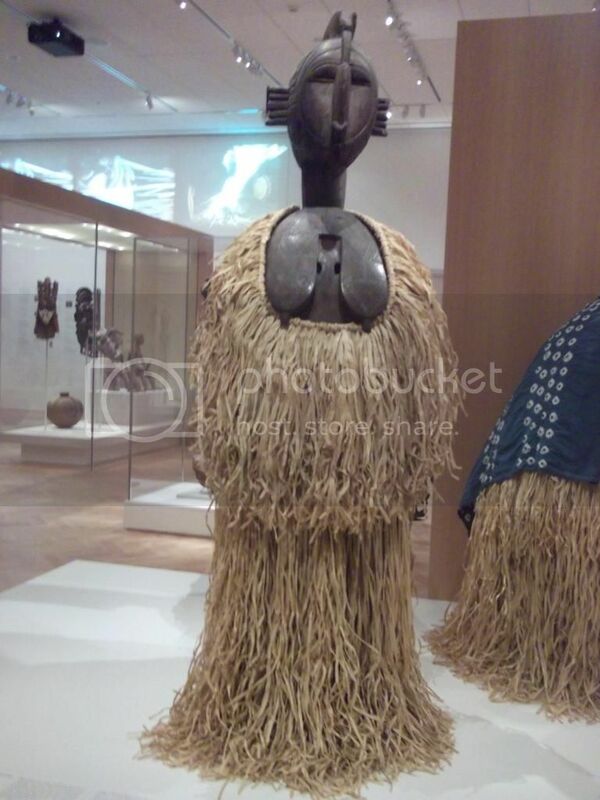 It's kind of late atm, but I will share more images of some of the pieces I found interesting maybe Tuesday. For the most part, recently, I have really been into a lot of contemporary/modern type things. 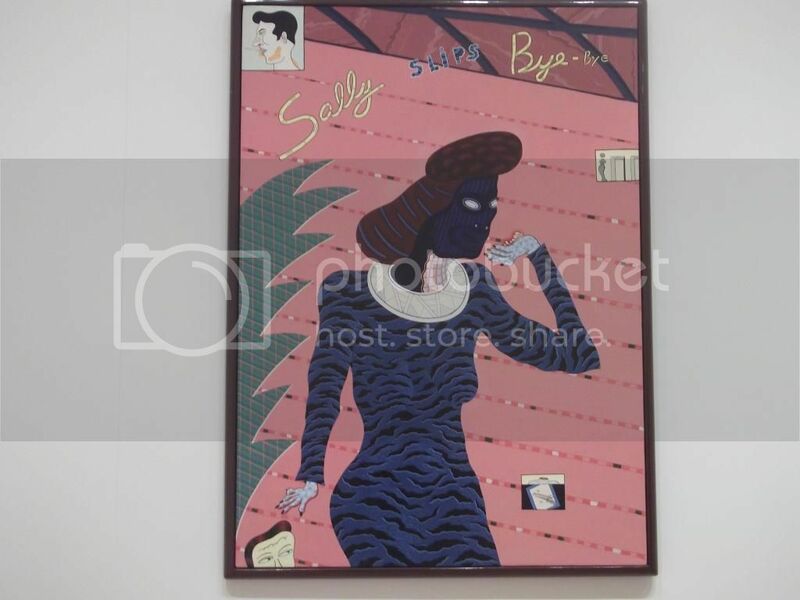 One piece I really enjoyed was Carroll Dunham's "Bather/Night", mostly because the background, to me, looks like something that would be featured in a really cool super mario bros. game. 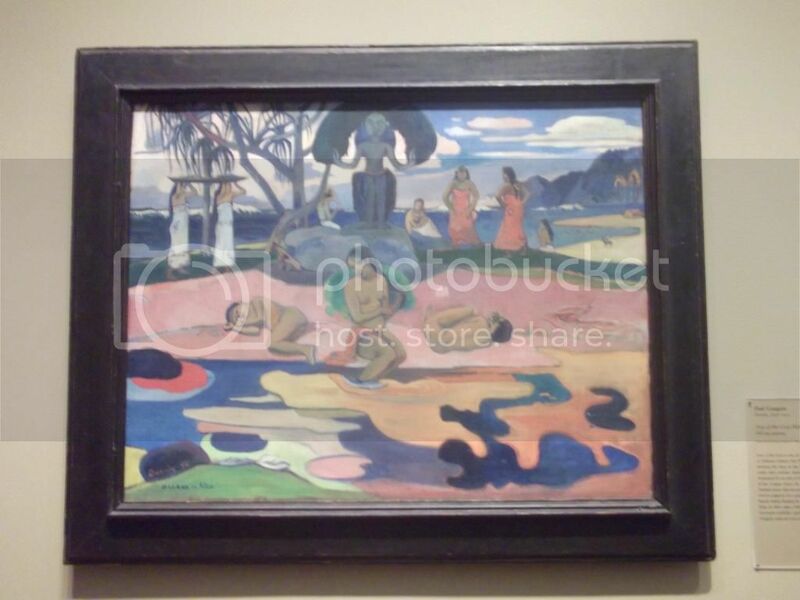 I also enjoy how abstract the image is in the front. I didn't know what it was without reading the title. Here's an interesting piece from Jim Nutt. Not sure why I dig it so much. This piece really surprised me. 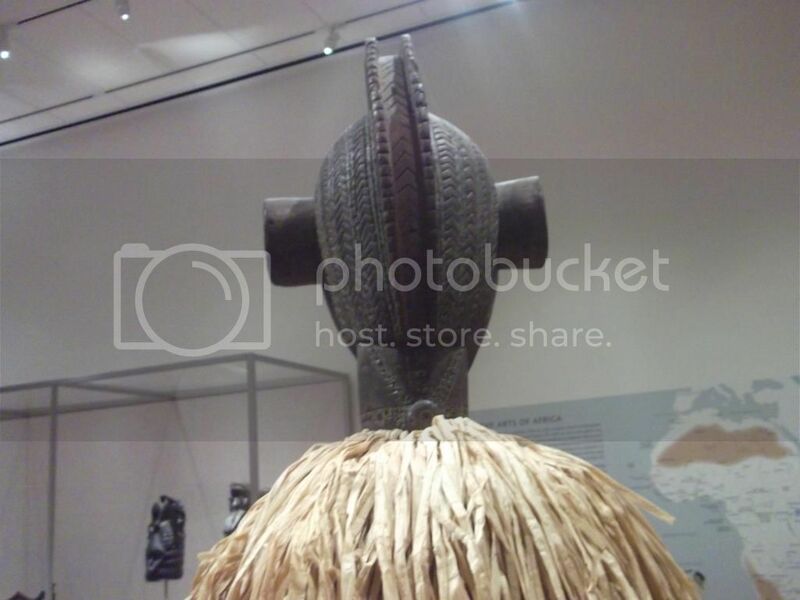 It's a Nimba, D'mba, or Yamban headdress from Baga, Guinea. Made around mid 19th, early 20th century. The thing has a head like a sunfish, carved out of a single piece of wood, and typically weight 80-100 lbs. Somebody actually wears this thing for events ranging from bi annual harvest ceremonies, to important community events such as birthday/death. 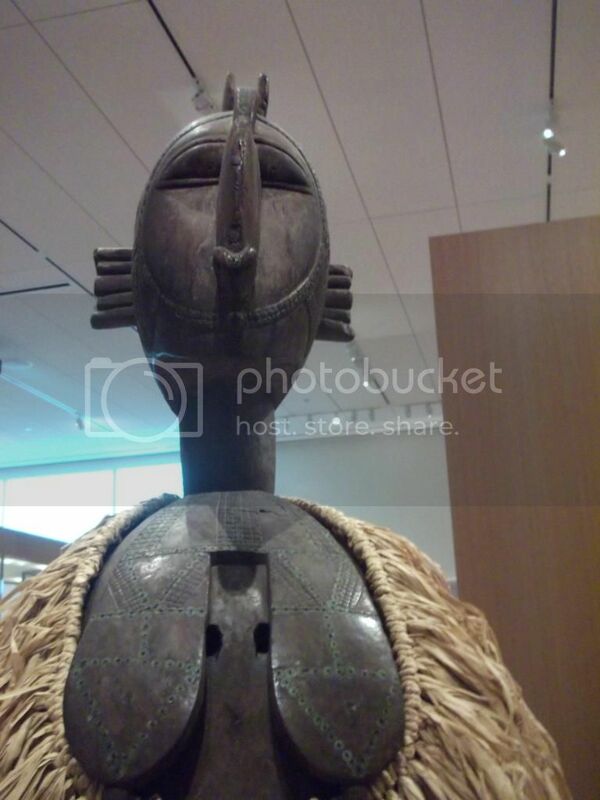 The statue is supposed to represent the ideal woman as an image of sacrifice for her community. Her breast are represented as flat to convey all the children she has nursed into adulthood. This oil painting was painted by my Aunt Emelda in Yopal Colombia, and represents a festival held in the village her and my father grew up in, in the villa de leyva, Colombia. The green figure represents the spirit of wind, while the red figure represents the spirit of dance. The festival is held in August and has an international following, in which people come from around the world to compete in various competitions flying kites, designing, and in kite art. 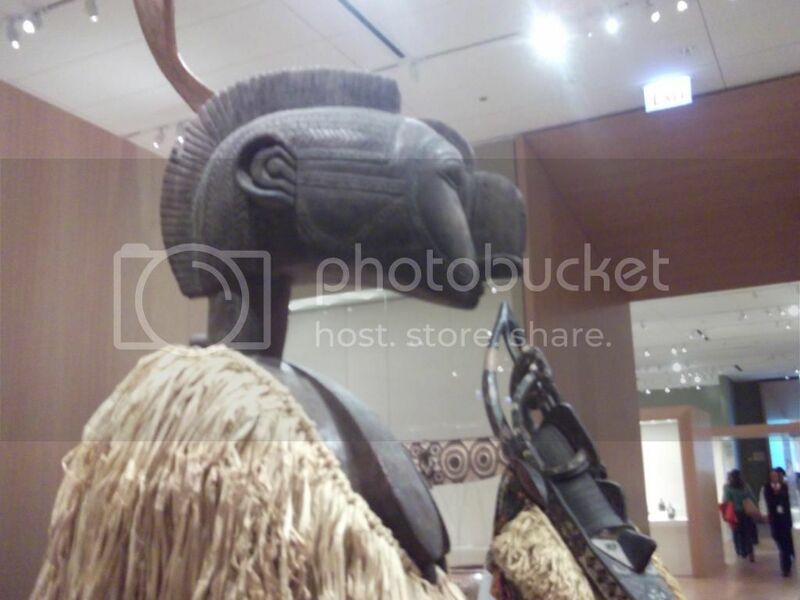 That African headdress is really badass. I couldn't draw a stick figure to save my life so I'll have to be content with enjoying the works of the masters. Found this thread while wasting time at work and thought it'd be cool to share my work because first of, I like sharing what I do and second because this website is pretty neat. So since early 00's I've been developping short stories. Some of them are text only and some were accompanied with b/w illustrations. I've been a longtime fan of b/w stuff and reading comics. I've been way to unsecured to release anything until 2007 where I self-release a short story called "The sad story of John Helmet Doe" which tell the tale of a man way to big that decide to ride a bike nonstop until he loses weight. Then not long after that I released another comic called "The hell of Jackson Hurley" which was supposed to be a four parter but I bailed on the other 3 issues. Years pass and I got pissed at me for not releasing anything else and not touching my other series that I started in the beginning of 00. I got tired of that and decided to continue to write and draw again. So I did that. In the meantime I had kept developping in my head the characters and some backstory and did a bunch of illustrations concerning my little universe that I created. I then started 4 years ago to learn silkscreening at home and decided to revive my project but this time I put everything together considering pretty much all the stories I wrote were taking place on the same fictive planet. Last year I got to release my first small book which contained the first 4 chapters (2 pages per chapter) accompanied with illustrations. Now I'm gonna release my sixth booklet and my second comic book of a new series I'm working on. French being my first language I switched then from English to french for my stories. The story takes place in the future on another planet. Berserk has of course influenced me on some level as well as other artists and writers. So this is why I am here rambling about my project (at work again, wasting time) and wanted to share it with you guys event though not all of you will be able to understand since it's in french. But I mostly wanted to share the visuals. Here's the link to my facebook silkscreening page as well as some illustrations I did. Wow, jackson_hurley! I think it is too cool that you are pursuing your creative endeavors like this. Awesome that you're able to do your own silk screening. My personal favorites are the microphone bug, the passageway with the doors set into the walls, the planet, and the carrot. Great stuff! Well thank you JMP for the kind words! The mic bug is not a piece of art from me but from a friend. The printing though was my job! (one of my first try with colors). As for the passageway (an intestine from inside) with the doors, it's a very bad colored version on photoshop (got bored and tried some colors on). The planet is the first cover of my project and the carrot is actually issue #5 (on that cover the carrot is introduced to the story but not in the book yet) Glad you enjoyed the page and don't hesitate to follow it if you want to see more illustrations and stuff. I am supposed to clean up a bit that page and show more drawings from the story. Hey Jackson, thanks for sharing your projects with us! 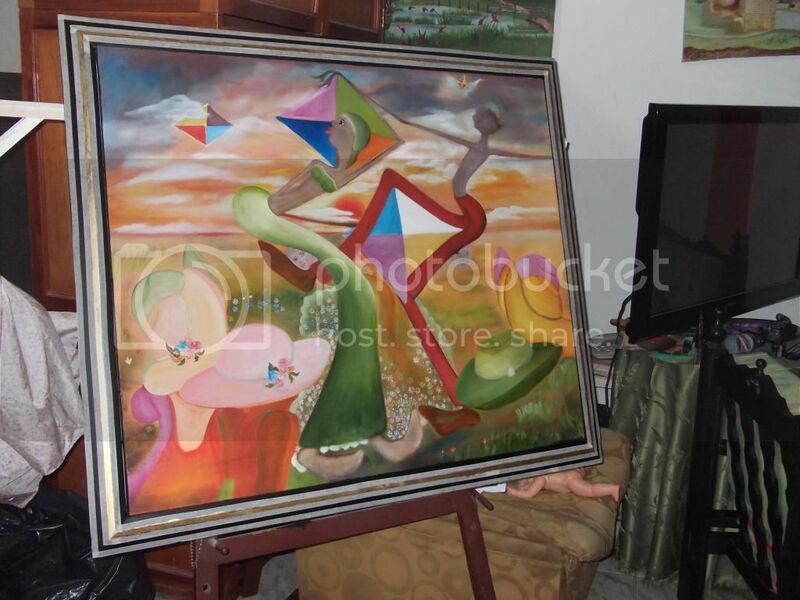 It's cool to see your art collection - I'm particularly liking this guy! That's pretty awesome man, congrats on sticking with it! I don't understand French very well, so I probably won't get to enjoy your work first-hand, but I imagine that the finished product(s) will make for a fun read. Are your stories connected by a single set of characters, or is it mostly the environment that connects everything? Oh yeah that one! It's called Behaïgoth, it's one of my gods in the story. I made a back patch with this one and I've installed it on one of my zip-up. And to answer your question the story follows the life of humm I'd say 5-6 main characters. They all take place in the same planet and sometimes are interconnected (except one that takes place in space but that part is necessary for the story) and they all lead in their own way to the main event of the book. So they are a bit independant of each other but at the same time they have links in between. The first part of the book should be done this year.